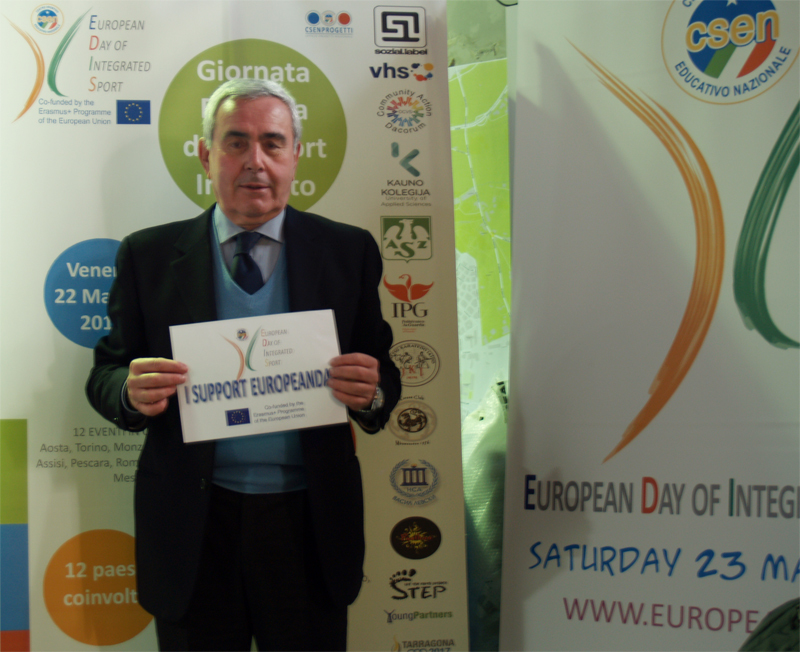 The European Day of Integrated Sport was officially opened in Campo dei Miracoli sport centre in Rome at 10 o’clock on Saturday 23rd May 2015 by the President of CSEN Mr. Francesco Proietti, together with the General Secretary of the Italian Olympic Committee Mr. Roberto Fabbricini. 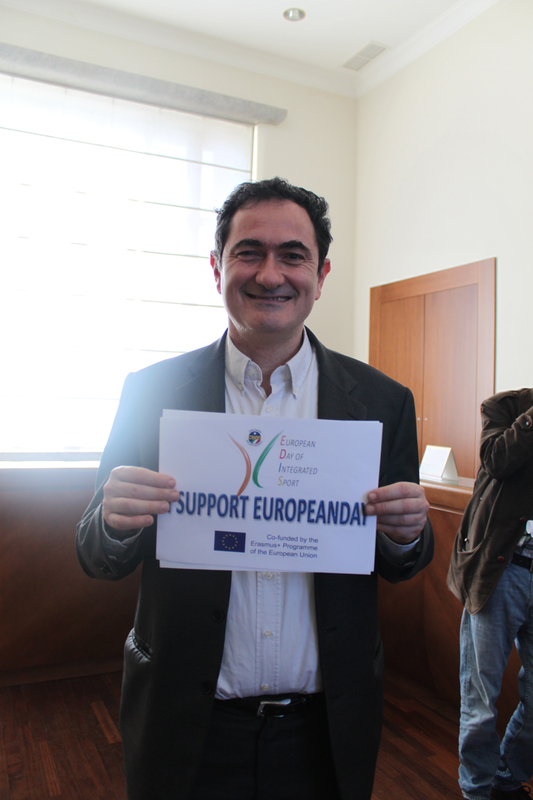 The initiative was streamed live from the 12 Italian towns involved and hit 4,360 viewers. 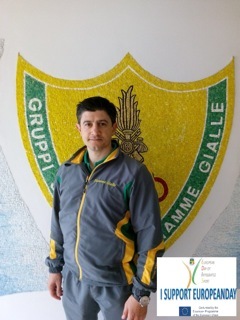 The CSEN President Francesco Proietti opened this great sports event from Campo dei Miracoli sport centre, located in the Corviale district of Rome. 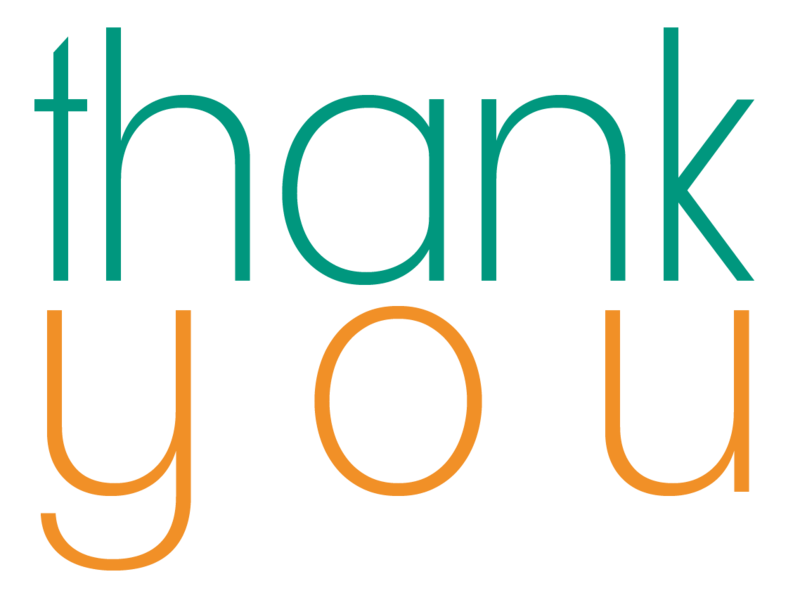 Over 5,000 athletes from 13 European countries tested the efficacy of new sports rules conceived specifically for this project by CSEN managers, sports technicians and referees. 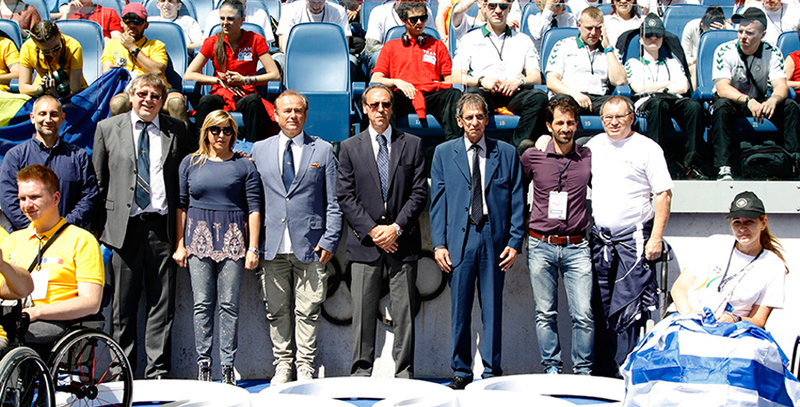 Over 20,000 interested spectators watched the event in the different Italian venues. 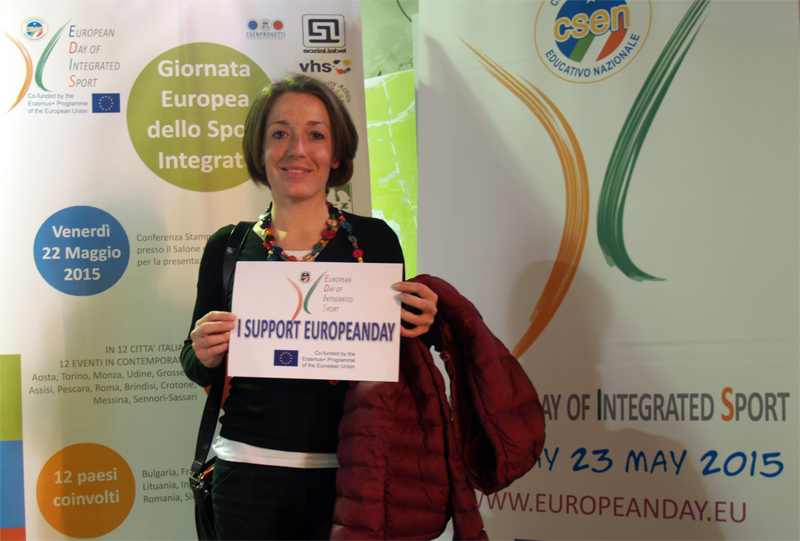 The European Day of Integrated Sport was a great success for the CSEN and its partners, for Europe and for Integrated Sport. 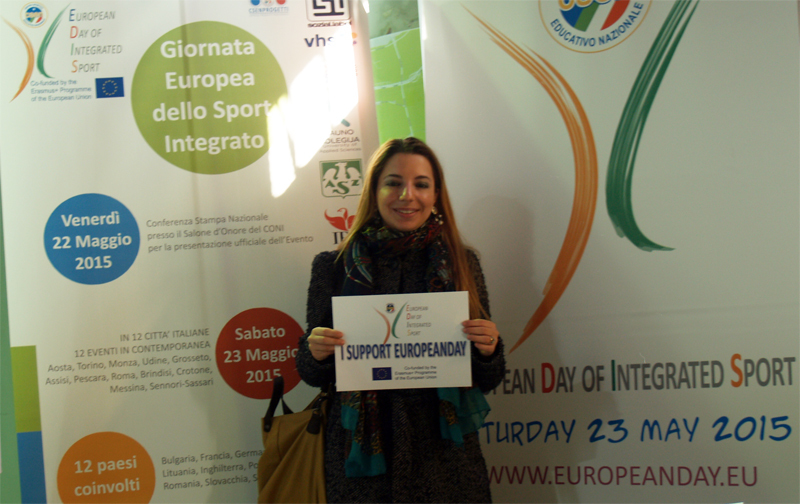 ON SATURDAY, MAY 23rd 2015 OVER 5,000 ATHLETES MET FOR THE FIRST EDITION OF THE EUROPEAN DAY OF INTEGRATED SPORT, A SPECIAL EUROPEAN EVENT INVOLVING 12 ITALIAN CITIES AND 16 EUROPEAN DELEGATIONS. 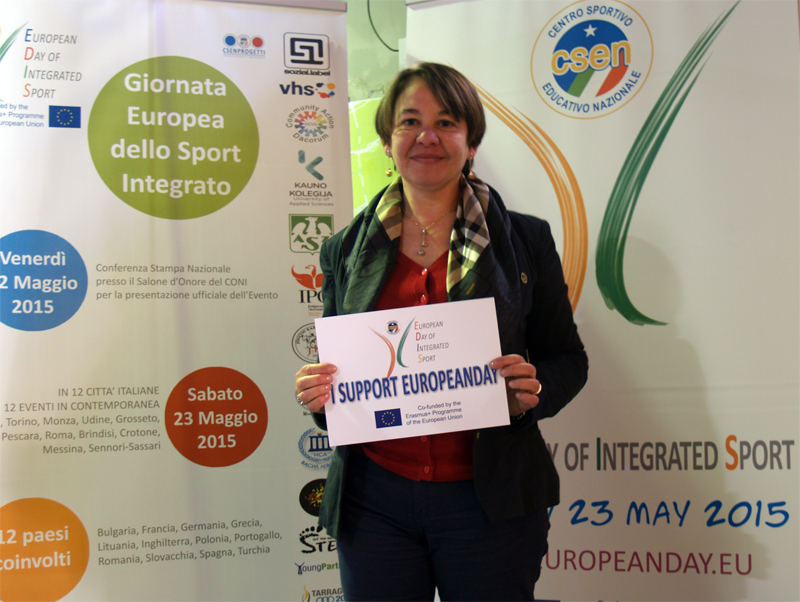 It was indeed a memorable day for Integrated Sport where Europe played a central role. 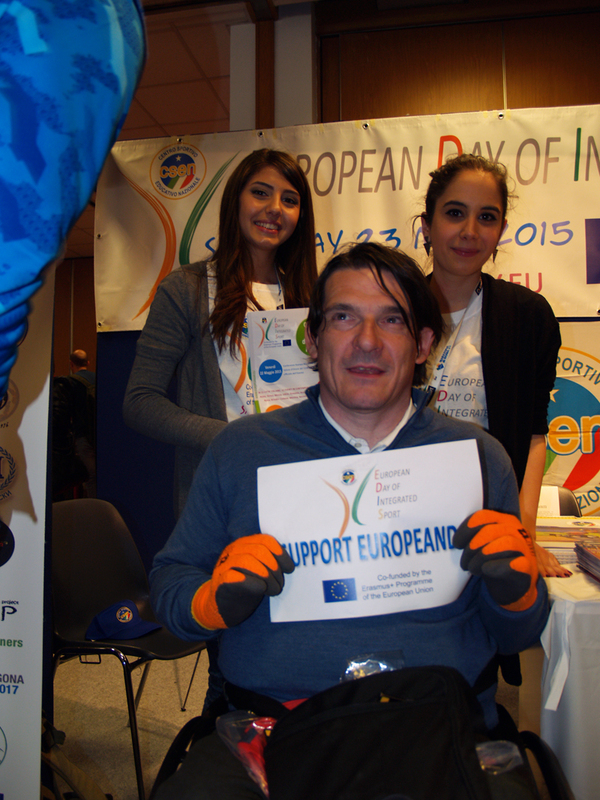 In 12 Italian towns- namely Aosta, Assisi, Brindisi, Crotone, Grosseto, Messina, Monza, Pescara, Rome, Sennori (in Sassari province) Turin and Udine - over 5,000 disabled and non-disabled athletes from Italy and another 12 European countries brought to life the first edition of the European Day of Integrated Sport. 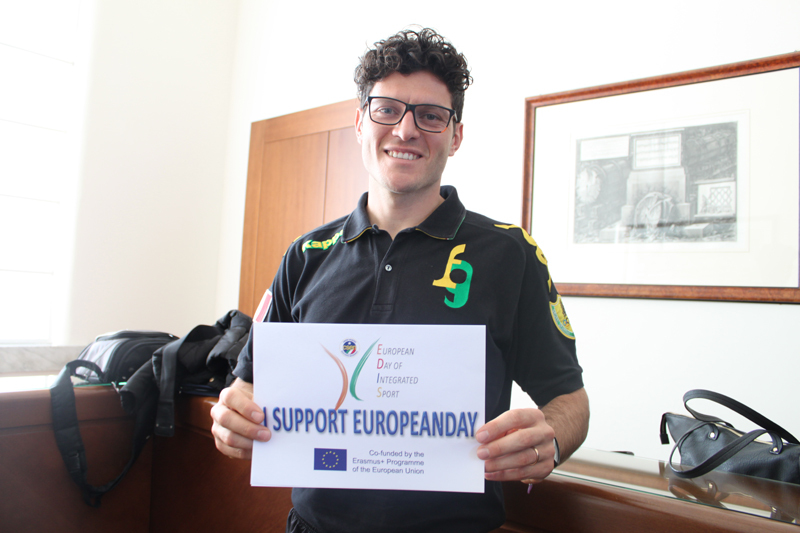 This event was promoted by the European Union and organized by the CSEN (National Educational Sport Centre), a trailblazer as far as integrated sport in Italy is concerned. 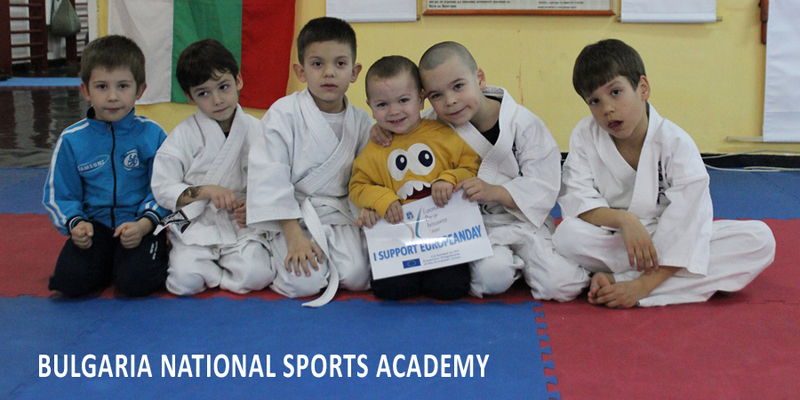 In all 12 venues, athletes participated in competitions and demonstrations in 12 disciplines (wheelchair fencing, dance, horse riding, table tennis, integrated judo, integrated karate, bowshot, trio agility dog, 5-a-side, integrated football, baskin and totally integrated basket) resulting in a great sporting event. 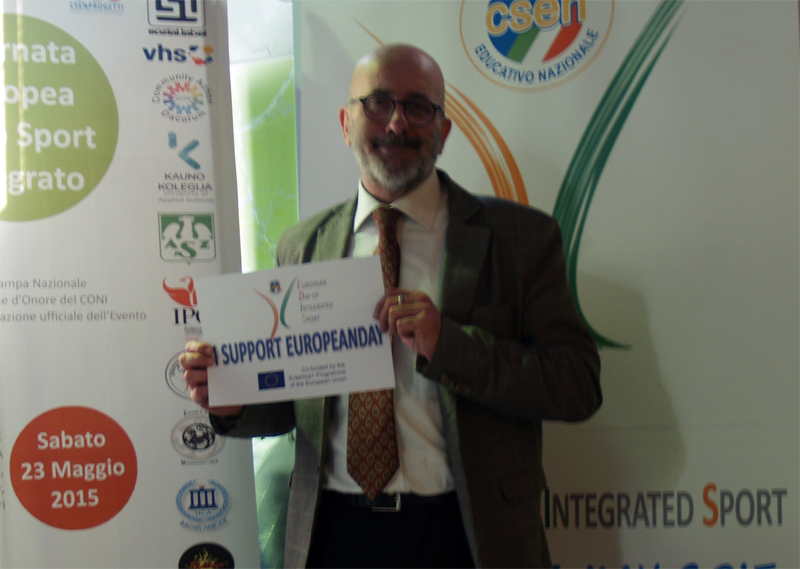 The European Day of Integrated Sport was officially opened in Campo dei Miracoli sport centre in Rome at 10 o’clock on Saturday 23rd May 2015 by the President of CSEN Mr. Francesco Proietti, together with the General Secretary of the Italian Olympic Committee Mr. Roberto Fabbricini. 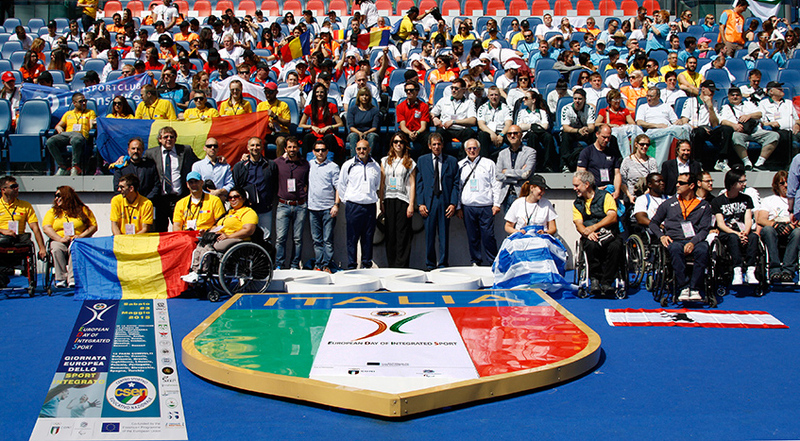 The opening ceremony included a parade by all the participating national European delegations accompanied by their respective anthems. The European Union flag was then raised while the band played the European Union anthem, the Ode to Joy written by Friedrich von Schiller and set to music by Beethoven in his Ninth Symphony. 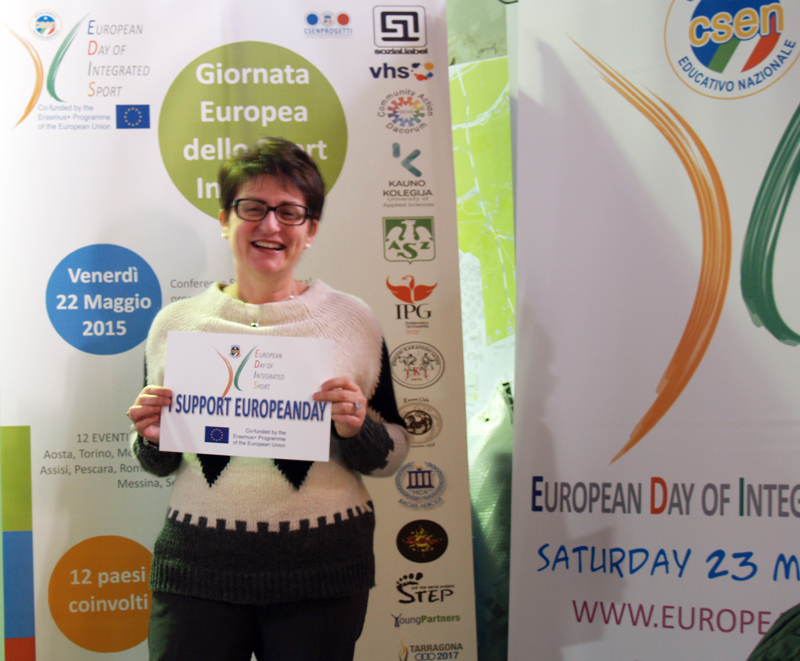 This anthem expresses in music the European ideals of freedom, peace and solidarity. Campo dei Miracoli, in Rome’s outer and difficult suburb of Corviale, was chosen to symbolically express the will to use integrated sports to alleviate urban social exclusion in the name of European brotherhood. 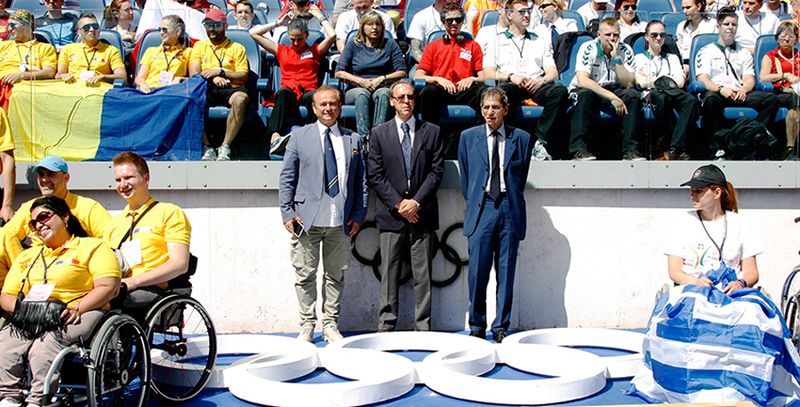 At the end of this ceremony, which was streamed live, athletes and champions in 12 Italian towns began their sport competitions and demonstrations in their respective disciplines. 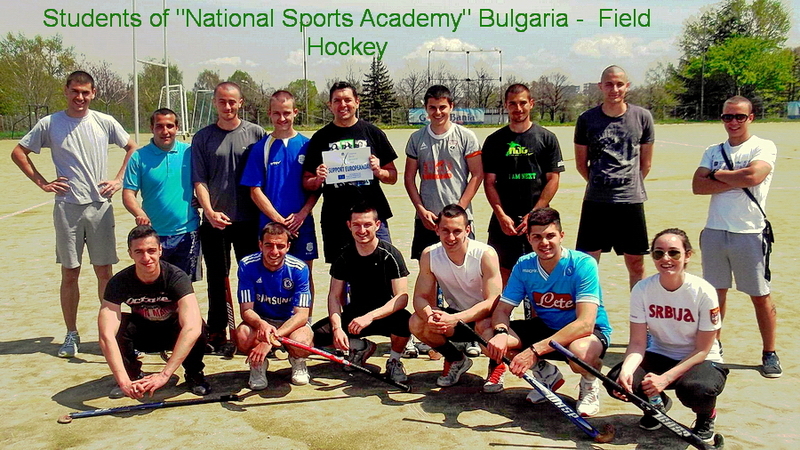 It was a huge success with sport centres and town squares crowded with spectators. 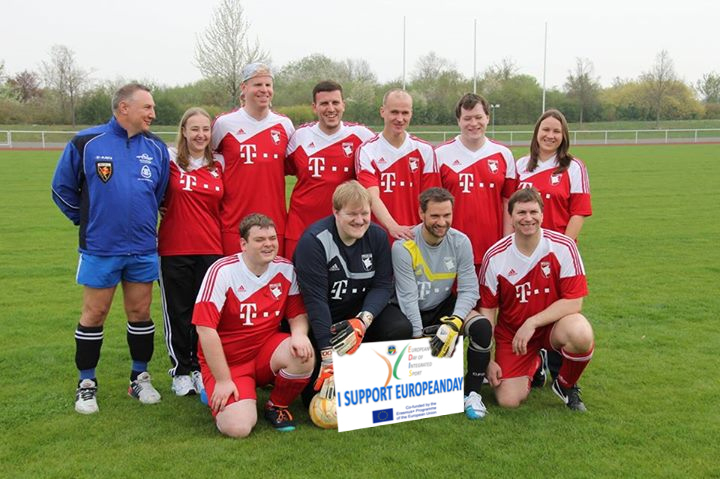 Over 5,000 athletes from 13 European countries tested the efficacy of new sport rules which aimed at having both able-bodied athletes and those with different kinds of disabilities engaged in sport activities all together. 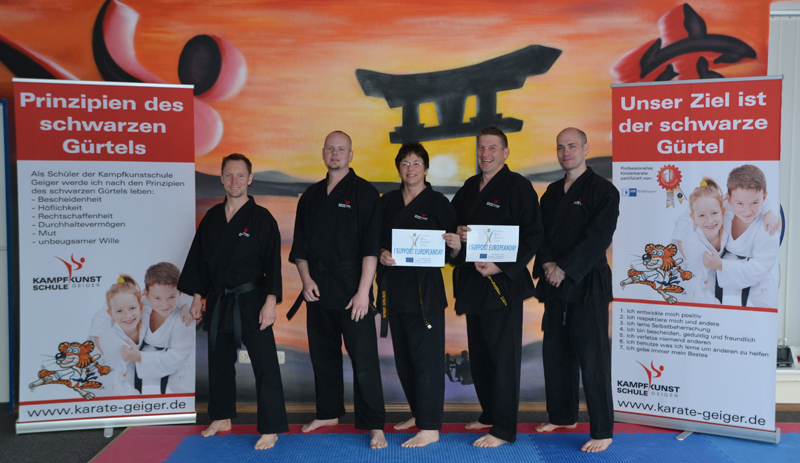 These sport rules were conceived specifically for this project. 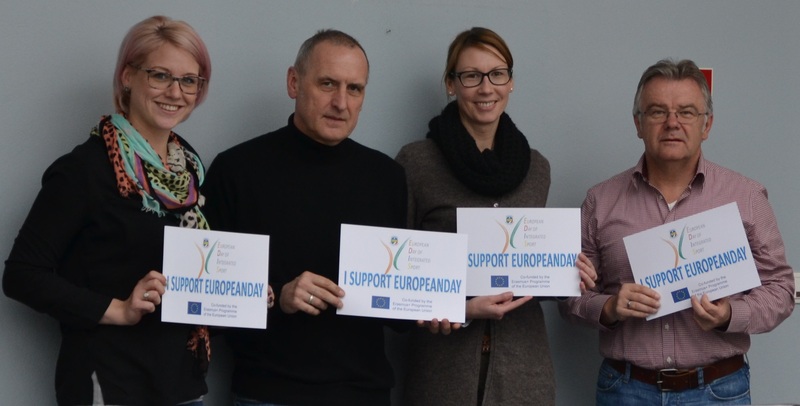 Delegates and sport technicians appointed by the European organizations promoting this project had previously helped to write up these rules and they supervised the sport competitions and demonstrations at this event. Over 20,000 spectators in total attended the event in the different venues. The live streaming session had about 14,360 hits from all around Europe. 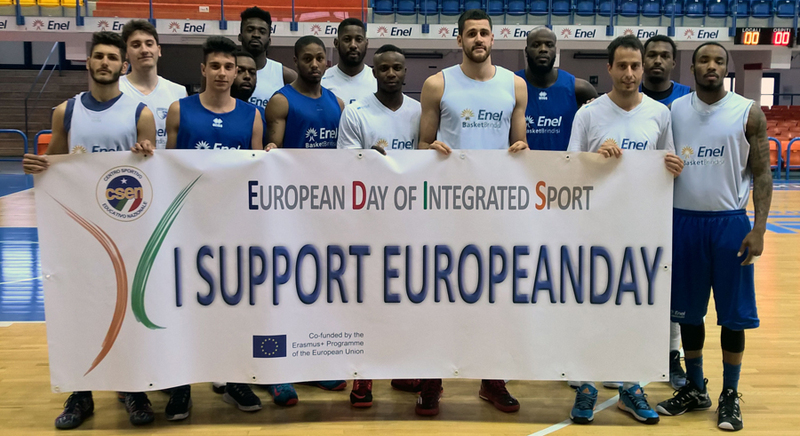 After this successful first edition of the European Day of Integrated Sport, the promoting organizations are now working to draft European rules for integrated sport to be shared with their respective national Olympic Committees. Furthermore, they are organizing meetings in their own countries, to distribute both the 2016 Integrated Sport Calendar and a book with photos and reports of the 2015 event. 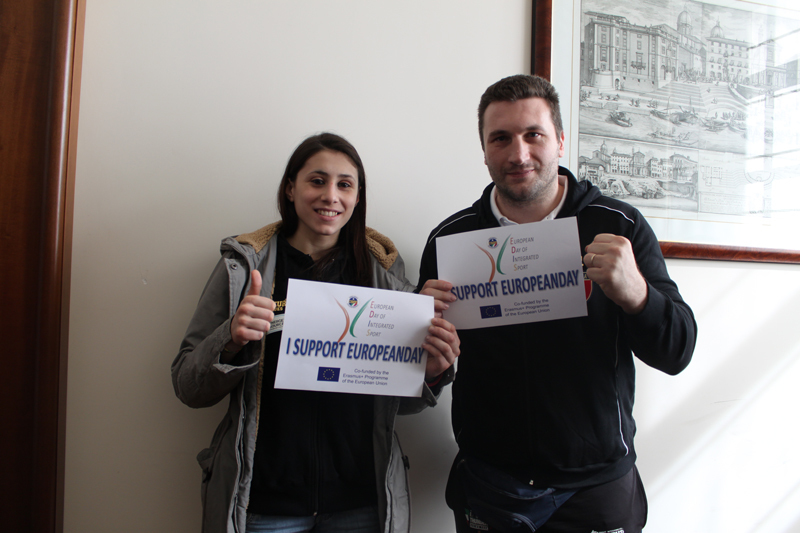 Organizers are also willing to hold future editions of the European Day of Integrated Sport. 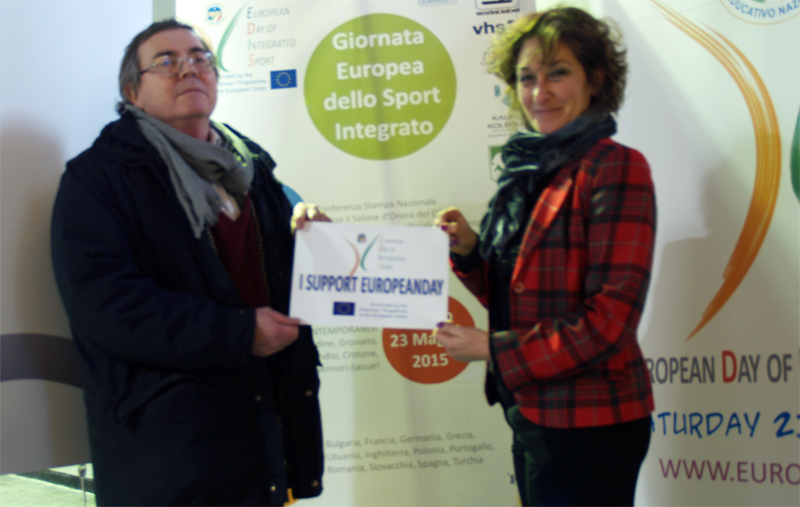 CSEN is organizing the first international integrated sport event promoted by the European Union in 2015. 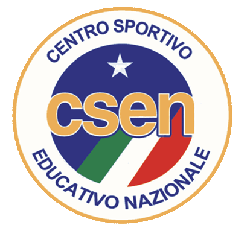 This is indeed a great achievement for CSEN and for Italy and it acknowledges the constant commitment by the CSEN National Presidency, its Local Managers and Project Office in favour of Integrated Sport. 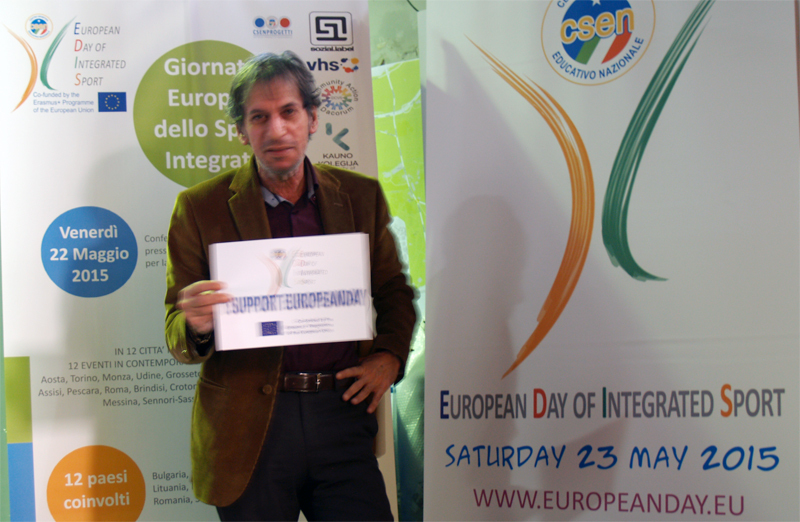 As a result, CSEN has been entrusted with the organization of the “European Day of Integrated Sport” which will be held on 23rd May 2015 in 12 Italian towns. 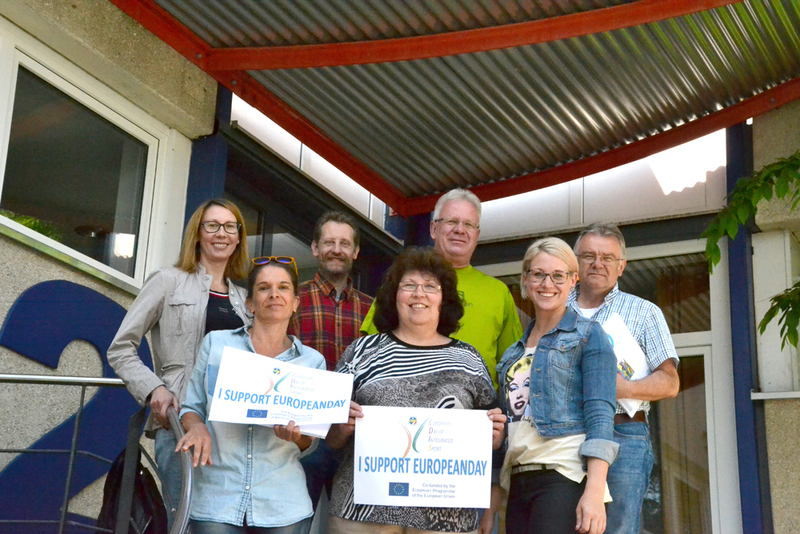 Through this important decision and financing of around 800,000 euros, the European Union is promoting integrated sport as a tool for social inclusion for people with disabilities, while at same time favouring an educational programme towards acceptance and integration through sport. After two national Integrated Sport Days in 2013 and 2014 respectively, this event, originally organized by CSEN, has become an important European appointment which involves 16 sports organizations from 12 different countries: from Romania to Portugal, from Germany to Turkey. 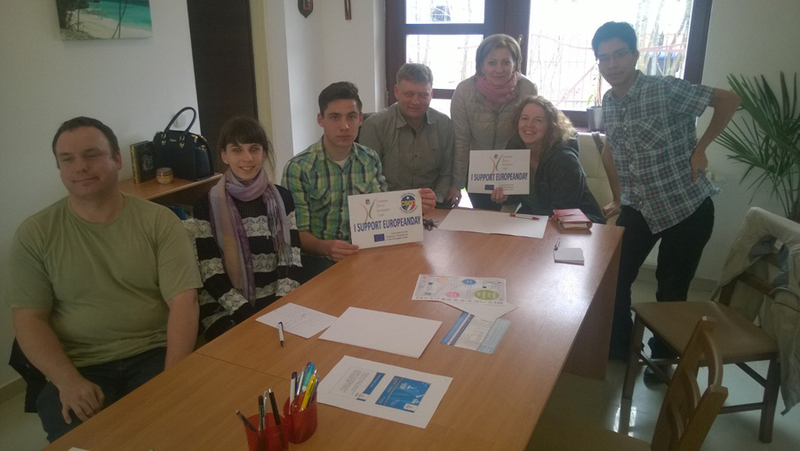 The first step of the project will be a preliminary workshop- from the 20th to the 22nd of March- with representatives from the 16 European organizations attending. 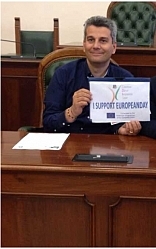 The workshop will be held at the same time as the Rome Marathon, so that the delegation of European representatives will also take part in the non-competitive 5-km run before returning to their work. 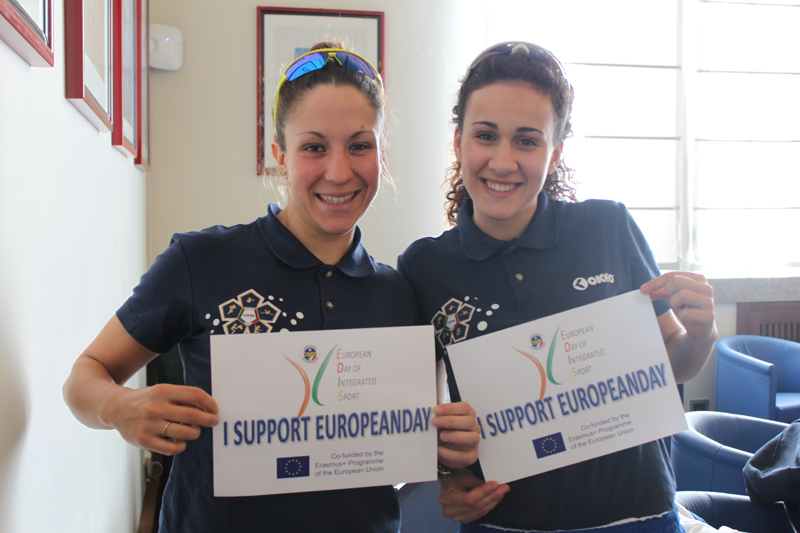 On the 22nd of May, in the impressive Hall of Fame of CONI (Italian National Olympic Committee) the Presidents of both CONI and CSEN will open the “European Day of Integrated Sport” which will culminate in sport tournaments and demonstrations of 10 integrated sport disciplines with Italian and European athletes and champions participating the following day, May 23rd. 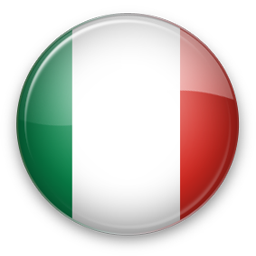 The event will be held simultaneously in 12 Italian towns in as many Italian regions. 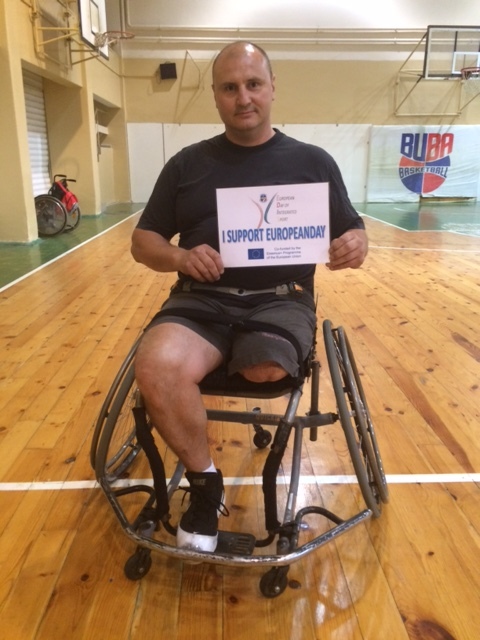 Events will be both seen and heard in order to increase project impact at international level, using streaming of the different sport disciplines, with tournaments and demonstrations of mixed teams of both disabled and non-disabled athletes. 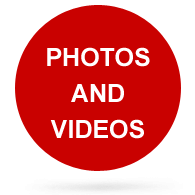 At the conclusion of the event, a book with photos and accounts of the Day will be published in four languages. 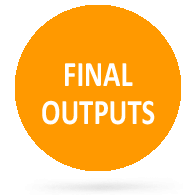 A final objective of the project is to draw up a European set of rules for Integrated Sport that will be made available to all the National Olympic Committees.